Reckless Inconsistency or . . . How to Deal With ‘How-do-you-spell-it’ Syndrome? Why does spelling appear, on the one hand, to be simple and something any reasonably intelligent person should be able to do but, on the other hand, cause so many children to feel nervous and frustrated? Do we pay enough attention to spelling in our classes considering the fact that it often becomes one of the major criteria for assessing students’ writing tasks? Is the teaching of spelling more about correcting errors or another way of developing an interest and paying attention to words and their structures? Of the 17,000 of the most frequently used words in English, only 86 per cent follow the regular sound/symbol rules. Initial consonants are consistent in the spelling of 96% of words; final consonants are consistent across 91% of words. Even the common saying “when two vowels go walking, the first does the talking” is false 60% of the time. 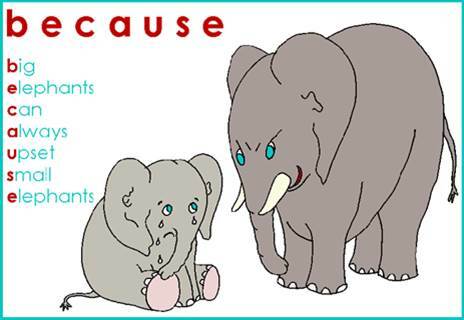 We should not forget about homophones, silent letters, diagraphs etc. The suggestion that it deosn’t mttaer in waht oredr the ltteers in a wrod are, the olny iprmoetnt tihng is taht the frist and lsat ltteer be at the rghit pclae is a myth. 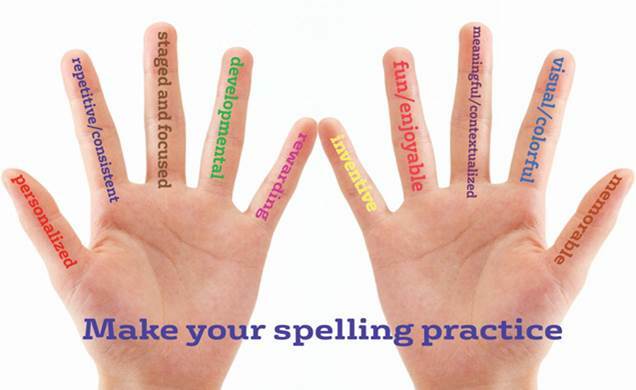 The skill of spelling contributes to reading fluency, reading comprehension and writing. Poor spelling can hamper writing and can convey a negative impression even when the content of the writing is excellent. Why teach spelling to children? Spelling is ‘a courtesy’ to the reader. Proficiency in spelling supports reading. Reading and spelling create additional opportunities to practice applying common patterns. Children who spend a lot of time and energy on spelling or avoid using hard-to-spell words, can feel inhibited in their confidence to write. What is teaching spelling about? Learners, who are explicitly taught handwriting e.g. including the linking of letters, are more likely to successfully write letter clusters. Working with children struggling to put letters together is a great way to show them that spelling is a puzzle which can be solved when the rules are learnt. Children should be provided with opportunities to engage with a wide range of texts and to gain experience of language structures at many levels (semantic, syntactic and grapho-phonic). We might admit that spelling is hard as it involves a lot of memorization. Most spelling programs are a variation of the “list-on-Monday, test-on-Friday” approach. It has the students look at the word, cover it up, and then try to remember the order of the letters. Such programs teach spelling as if words were made up of a random string of letters. Memorizing long strings of letters doesn’t work for many kids. The “look, cover, write, repeat” method fails them. Some children simply shut down and give up. Learning how to become independent spellers, knowing how and where to get help, how to use dictionaries, how to proof read and check their own and others’ work, are all important in the learning of spelling. Learning to spell has to be seen as a developmental process as a result of which children move towards standard spelling more or less fast. But the latter often depends on their positive experiences, applied teaching strategies and learning styles. This means that some children with a natural capacity for spelling will progress very quickly with little or no explicit teaching but others will need instruction that will take them from one stage to the next. Observation of the words learners are able to spell correctly and the ways they misspell words also reveals a progress from an emerging letter-sound relationship to more proficient use of spelling strategies. Analysing children’s early spelling also shows that although one particular spelling strategy, e.g. use of phonetic spelling, may dominate, other strategies such as memory of known words will also be evident from early on. Investing time in teaching spelling is only beneficial if spelling instruction is followed by ongoing practice activities. The kid has to know which spelling goes with which meaning. Here we should stress the face that the most important factor in learning to spell is the VISUAL element. Seeing, hearing and typing spellings are more effective than just trying to remember words by rote. We should introduce students to different effective memorizing techniques and encourage learners to use them and this is where technology comes in. Spelling tests support short term memory which may not lead to permanent learning. Spelling tests are difficult when the words are all different and have nothing in common as children need to remember all the parts of every individual word. The lists that are organised according to high frequency lists or common word patterns, i.e. words with common letter patterns including prefixes and suffixes, might be more effective than dealing with certain unconnected words. Children use inventive/invented writing to communicate. They do not yet know how their spelling system differs from the conventional spelling system but they have learnt the names of the letters of the alphabet, they have started to pay attention to sounds in words and now they put those two discoveries together. Children should not get the idea that conventional spelling doesn’t matter but inventive spelling needs learners to discover spelling patterns on their own while their misspellings might become your teaching opportunities. They need to be reassured that taking risks is an important step towards becoming a competent speller. The words learned for today’s test are forgotten by next week, unless they are used in meaningful contexts and are frequently rehearsed and revised over a period of weeks. Consistent review is the key to getting spelling facts and spelling words to “stick.” This is because they have not yet learned the words to a sufficient depth and have not achieved automaticity. If the pupil has to pause and think before writing a word it has not been learned adequately. Children take different routes into the spelling system and develop as spellers in different ways. Teachers’ expectations can be too high. As teachers, we need to start at a level at which every child can succeed. We need to observe our children writing, gather writing samples, and then analyse the strategies the learner is using to spell in order to plan the next learning step. Colour is useful when teaching spelling, for example when highlighting word patterns. 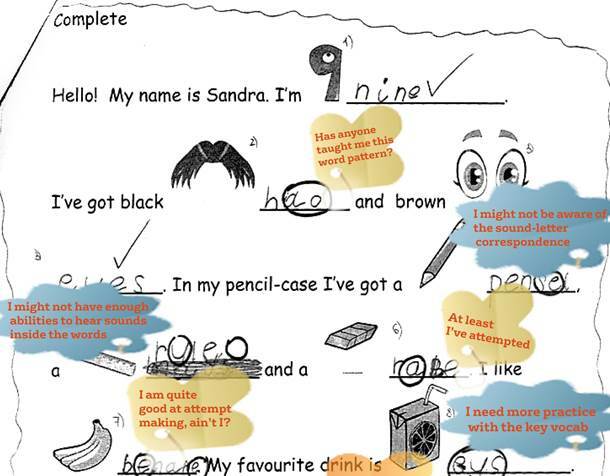 Silent letters become more memorable and less easy to forget, especially for strong visualisers, if they are highlighted in red. 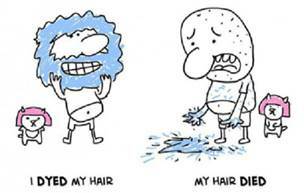 Illustrations, especially in colour, or mnemonics are an additional help for spellers. Spelling practice does not have to be boring and stressful. We should not forget the fact that spelling does create anxiety and frustration and that is why our main goal should be to develop an interest in words. The teacher’s role is crucial to the children’s progress as spellers, not only in terms of planning a range of writing activities, but also, in terms of their intervention and support for children’s spelling development at individual, group and class level. Bald, J. (2007). Using Phonics to Teach Reading and Spelling. Paul Chapman Publishing. Gill, C. H., Scharer, P.L. (1996). ‘Why do they get it on Friday and misspell it on Monday?’ Teachers inquiring about their students as spellers. Language Arts, 73, 89-96. Hilton, C., Hyder, M. (1998). Spelling. National Extension group. Shemesh, R., Waller, Sh. (2000). Teaching English Spelling. Cambridge: CUP. Westwood P. (2010). Spelling: Approaches to teaching and assessment. Second edition, ACER Press.